CarComplaints.com Notes: The 2015 Nissan Altima shows multiple problem trends, continuing the poor reputation of the 2013 & 2014 Altima, prompting us to give it our "Beware of the Clunker" badge. Owners are complaining about transmission problems related to the CVT (Continuously Variable Transmission). No one has added a helpful site for this 2015 Altima problem yet. Be the first! Headlights were never as bright as other vehicles and gradually dimmed. We have replaced a couple times with quality bulbs, but they dim again. It is dangerous. I have not yet had an accident, but have to drive extra slow and cautious. At times I have wondered if my eyesight was failing and then have been reassured by others it is the headlights. Interested in any helpful hints. I do love my car, just not driving at night because of headlights - wet and dark are the worse. As others described, I can't see at night. I had a small accident where I ended on top of a median while I was going to turn into a bank. These lights are terrible and Nissan is not offering any solution to our problems. Here is link to the class action lawsuit we all need to join. Or just simply Google search "altima lights lawsuit"
We all have to join! I began to have trouble with the low beam vision on my vehicle last year when I moved to a town that requires driving about an hour in very dark conditions at night (no street lights etc). A driver in front of my mentioned, after we parked and chatted, that my lights were very dim and the one on the passenger side was almost too dim to see. When I went to the Nissan dealer where I purchased the vehicle for a recent maintenance, oil change, tire rotation, etc., I asked them to check the dim lights and told them the problem I was having at night. The service manager came back when maintenance was complete and said that he had 4 individuals "look" at the lights and there was nothing wrong with them. 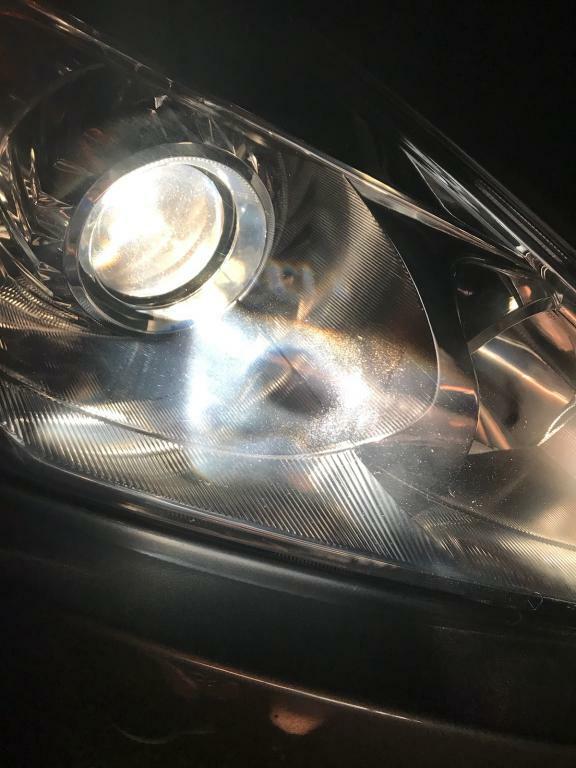 I have contacted an independent body shop and gotten an estimate to replace the unit (he said it comes as a unit, cannot just replace low beam bulbs) and quoted a $600 install fee. He suggested that he could possibly polish the bulb, but I doubt that is going to work and they get sued they'll probably pay attention then and do a recall. If Nissan is as reputable as they claim, they should be willing to stand behind their vehicle and fix this very serious problem. While driving at night it really seems as if the lights are not even on! When I got home I cleaned the lights and driving lights with a lint free rag as Road Salt etc. might be the cause for low visibility. I noticed that the heat from the projector lenses or head lamp itself had BURNED the inside of the headlight. You can see the attached image on my posting. This would be a major contributing factor to poor lighting. My wife has the identical car and trim etc. but she does not have the issue. I feel mainly because she has 20k miles and I'm quickly approaching 35k and do a lot more nighttime driving. I would like new headlight assemblies but I doubt that would happen. Noticed right away, that the headlights brightness was inadequate. Purchased a new pair of high quality lights. The low beam headlights are entirely inadequate to provide sufficient lighting intensity and failed to safely illuminate the street ahead of you. This creates a very dangerous situation when driving at night, while raining, or under any low visibility conditions since you are not able to see objects. This issue was not present when I purchased the vehicle new but developed around 50,000 miles. Unfortunately, I have to constantly drive with the high beams at night leaving other drivers with a partial blindness. Sometimes, when I switch to low for an oncoming vehicle, I suddenly find myself driving completely without sufficient light. I hope that Nissan and NHTSA do something to correct the problem at no cost to the consumer. We shouldn't have to pay for a correction when we did nothing to cause it and it shouldn't be "normal wear" on a vehicle.